Remove any old liquid gasket from the switch mounting hole. 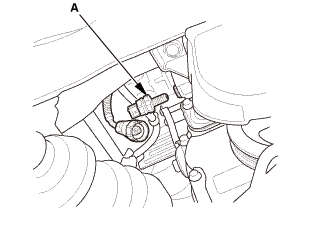 Apply liquid gasket (P/N 08718-0004 or 08718-0009) to the oil pressure switch threads. Install the component within 5 minutes of applying the liquid gasket. Using too much liquid gasket may cause liquid gasket to enter the oil passage or the end of the oil pressure switch. 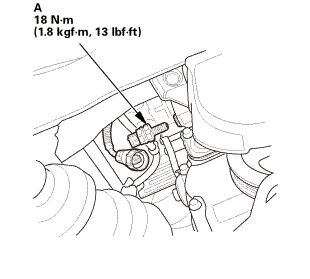 Install the oil pressure switch (A).